A miracle has happened over the past few months. A miracle that I have been trying to achieve for six years. I’ve begun to like fish. “Oh big deal!” I can hear some of you saying. Well, it is. 3) to eating fish whilst feeling completely indifferent towards it. 4) I am beginning to enjoy certain fish. Particularly mackerel. I just love mackerel. This led to me voluntarily agreeing to eat sushi with a friend last night. 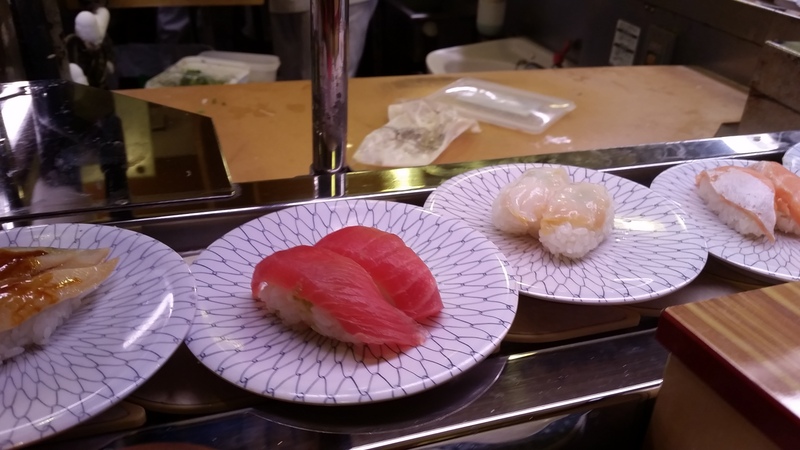 And so I traipsed over to Okachimachi near Ueno in the east of Tokyo to squeeze onto a counter seat at the perpetually popular conveyor belt sushi joint – Heiroku Sushi. 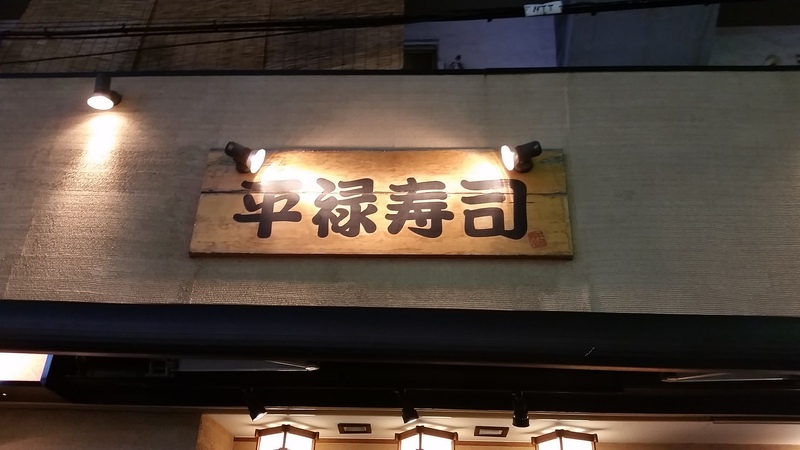 A little research has revealed this is a chain, but I have been assured that the Harajuku sushi place by the same name is similar in name only! So it looks like you have to eat at them all. A bit like with Pokemon – you gotta catch ’em all! I was also pleased to make the trip to Okachimachi because I was taken to some awesome vending machines afterwards where I got a plastic eel-banana in a plastic pod. Totally worth it. 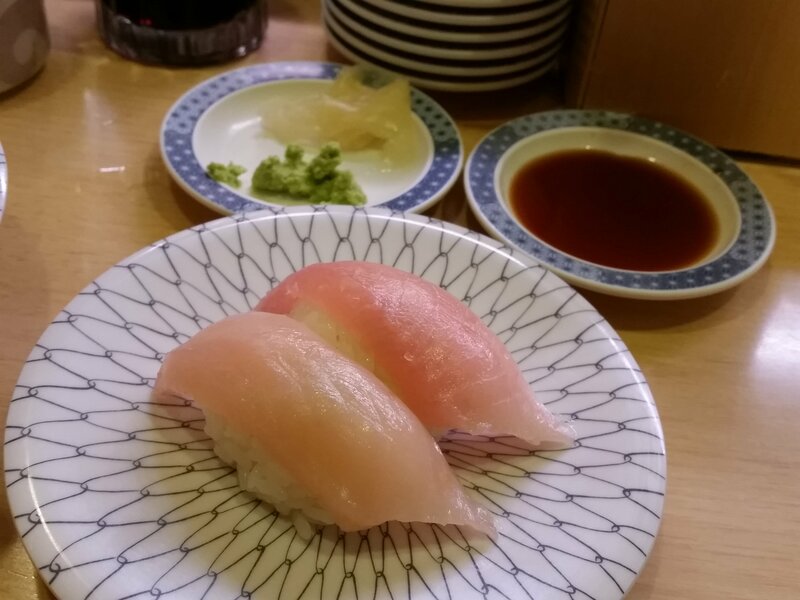 At Heiroku Sushi, every plate is the same price on weekdays – just 140 yen . Take a seat at a counter or wait your turn on the benches provided on the far left of the store. On taking your seat, grab a tea bag, shove it in mug-sized handless cup and fill it with hot water. Your drink is prepared! 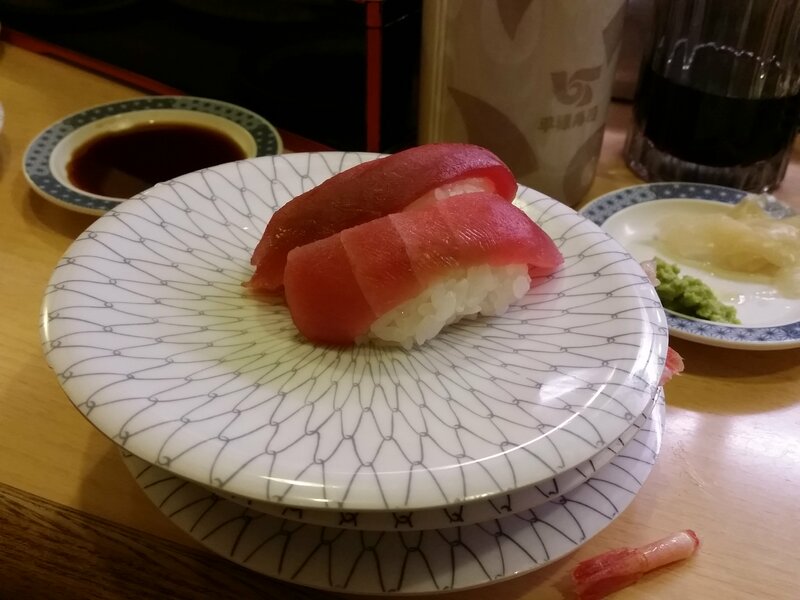 My friend took great pleasure in teaching me the sushi etiquette, particularly as I got so excited on seeing so many plates that I grabbed three at once. I protested that I was just trying to give them an accurate impression of my personality, only to be further scolded for taking omelette and honey-sesame potatoes. They are apparently more dessert items. “But they’re NOT FISH!” I grinned. I then accidentally scolded myself with hot water and threw my first piece of sushi onto the floor. However, I soon got into the swing of things. I filled a dish with soy and stacked ginger and wasabi on another dish. I then received my next set of instructions on sushi tabekata (how to eat sushi). Dip the fish, not the rice in the soy sauce. This requires quite some skill if you don’t want the whole thing to fall apart. Friend assures me that many people take the fish off the rice, dip it and then replace. 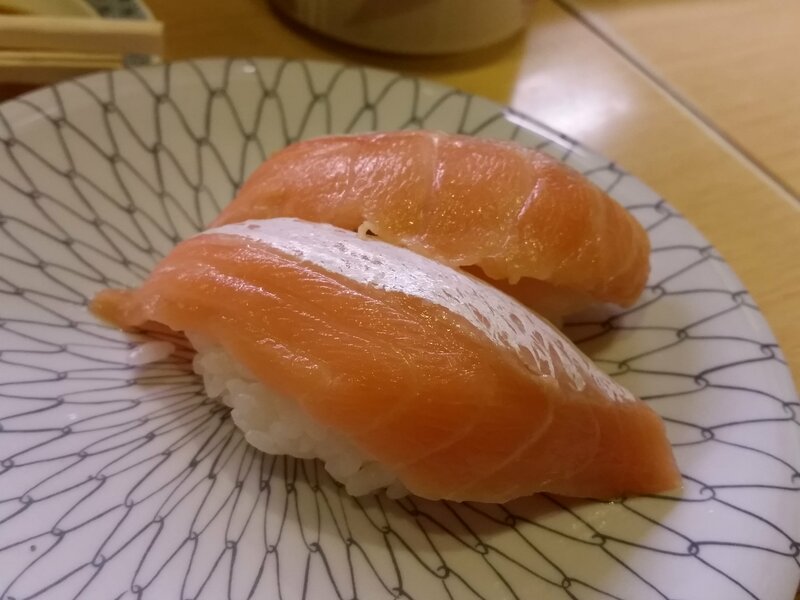 By removing and replacing the fish, you can also smear some sneaky extra wasabi underneath. I heard that you should not dunk the fish in the soy but merely dip so as to not mask the delicate flavour. Apparently, you can dunk as much as you like. 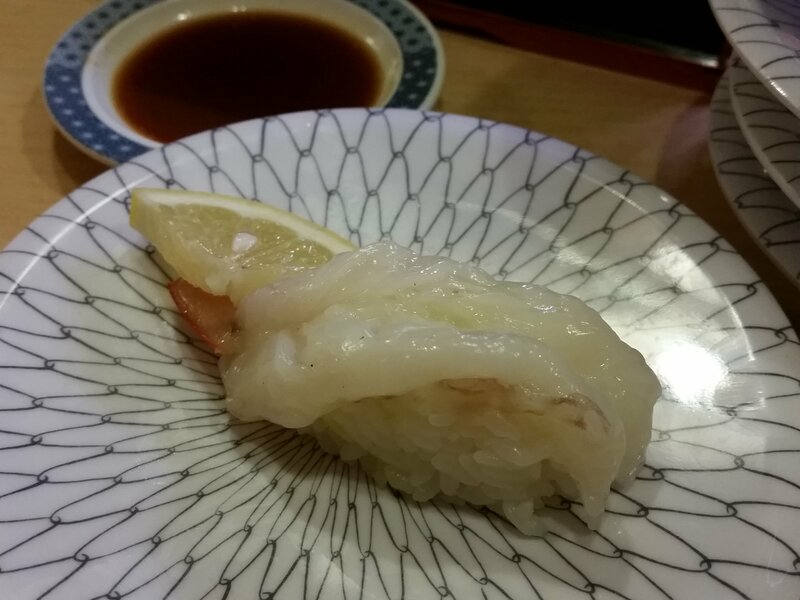 Eat a slither of pickled ginger between each sushi bite to refresh the palate. 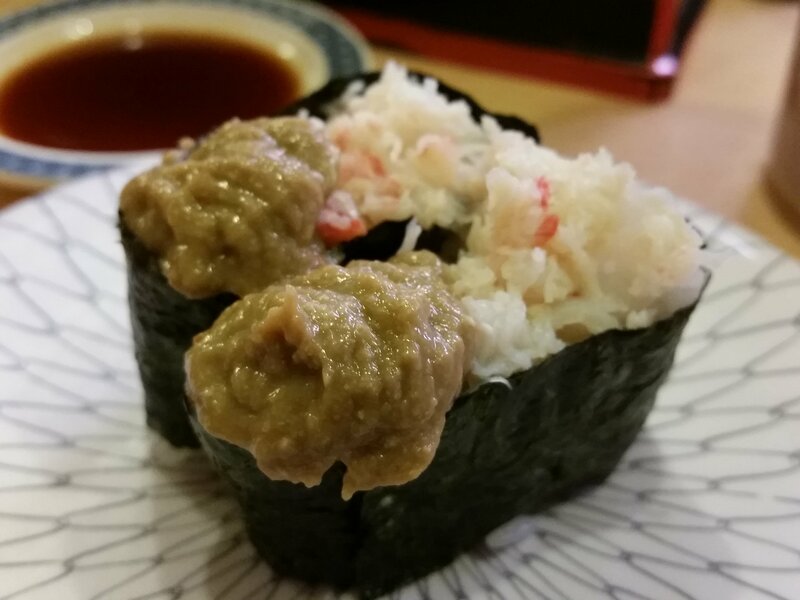 And so then I set off on my raw, fishy journey, with wasabi flirting heavily with my nostrils. 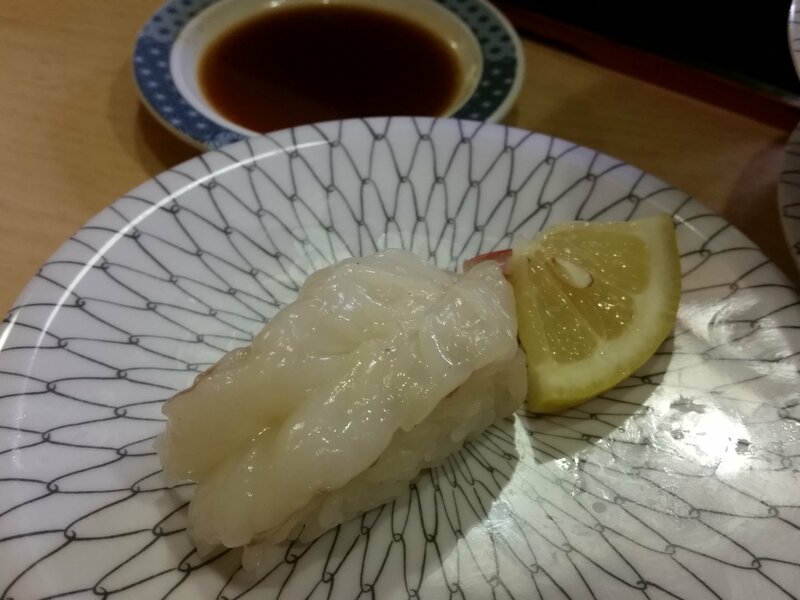 Highlights for me were ama-ebi (sweet shrimp), maguro (tuna) and anago (saltwater eel), which comes with a wonderful sweet sauce. The omellete was average but I did enjoy munching two bowls of potato. As for the price, I consumed eight plates, which left me absolutely stuffed and paid 1120 yen. That’s £6 for dinner – Londoners, go and cry! Overall, I thought Heiroku represented excellent value for money. 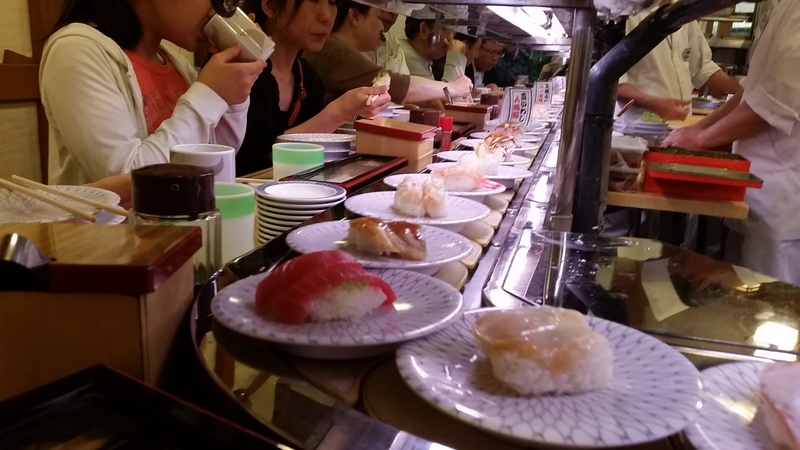 As with all conveyor belt sushi places, it’s not a place to linger – you are part of the overall mechanics, selecting plates, shoving the sushi in, and heading out. The staff are fairly robotic too – and amusingly they swap shifts by crawling through a tiny gap in the counter right by where I was sitting. The guy didn’t seem to have much of a sense of humour when he popped up from under the counter and I shouted “Konnichiwa!” at him! If you want to linger, maybe you should grab dessert at a nearby cafe…. 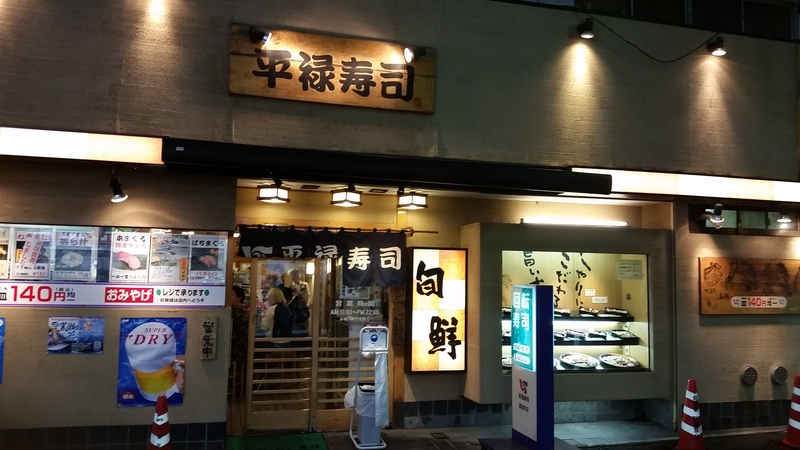 Heiroku Sushi Okachimachi Branch 4/5 – The sushi goes round and round, and tasty fish gets swallowed down and down… Great value! Ok, now I am hungry. Definitely!